Welcome to the Opatija Riviera! 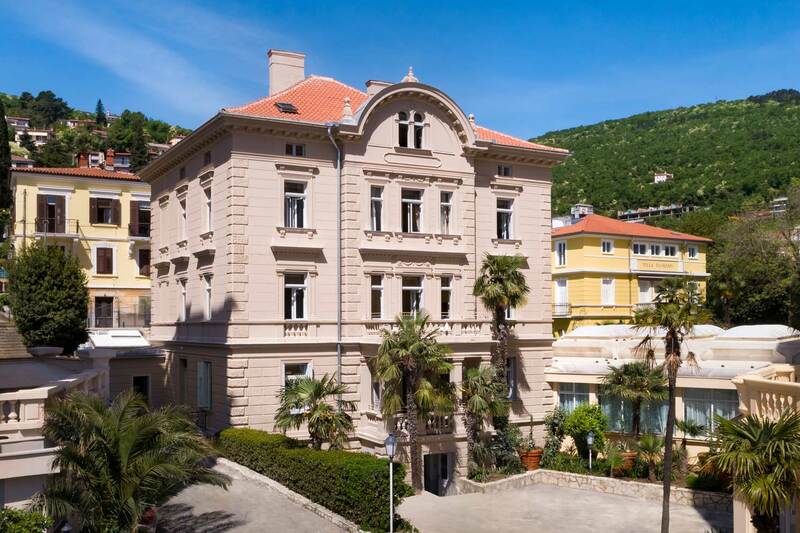 Welcome to an exceptional place for a perfect holiday – welcome to the Opatija Riviera! Located in the heart of Kvarner Bay on the eastern coast of Istria, our completely renovated properties are the perfect choice for a holiday to remember. The Remisens Hotel Admiral (4*), Remisens Premium Hotel Kvarner (4*) and Remisens Premium Grand Hotel Palace (4*) set new standards for a superb holiday for guests with exquisite taste looking for impeccable service and premium comfort. In the Remisens Hotel Admiral, everything is dedicated to creating a feeling of relaxation and luxurious elegance. The completely refurbished rooms, lobby and reception areas exude superior modern comfort. In addition, the hotel now features an increased number of Premium rooms that offer unforgettable views of the sea. The Remisens Premium Hotel Kvarner is located right by the sea. Its fully refurbished rooms provide a special holiday experience tailored to suit the needs of each individual guest. Another novelty is the Revital Zone that offers a revitalising wellness experience. The Kvarner was the first hotel built on the Adriatic coast and is today a place where the spirit of times gone by blends perfectly with modern comfort and superb service. Enjoy the classic elegance of the Remisens Hotel Palace Bellevue and the modern comfort and superb service it offers. Relax in completely refurbished rooms, restore your energy in the new wellness & spa centre and treat yourself to an unforgettable gourmet dining experience in the hotel restaurant. Our services and facilities comply with a unique concept that guarantees a carefree holiday even to the most demanding guests. Discover the timeless beauty and elegance of our completely renovated hotels. Their traditional architecture refreshed with a touch of modern style, the impeccable service and individual approach guarantee a perfect holiday on the Opatija Riviera.